High up in the Andes, numerous species of hummingbirds are thriving despite low levels of oxygen. Hummingbirds have the highest metabolic rates among vertebrates, and have heart rates of up to 1,260 beats per minute, so it's difficult to imagine them flitting about in an environment where oxygen is scarce. But a study published today in the Proceedings of the National Academy of Sciences Early Edition uncovers how these species have evolved the capacity to flourish at very high altitudes. The study, led by University of Nebraska-Lincoln evolutionary biologist Jay Storz, examined the hemoglobins of 63 separate hummingbird species that are native to different elevations in the Andes. The findings confirmed a relationship between functional properties of the birds' hemoglobin—the protein responsible for transporting oxygen in the blood—and their native elevation. 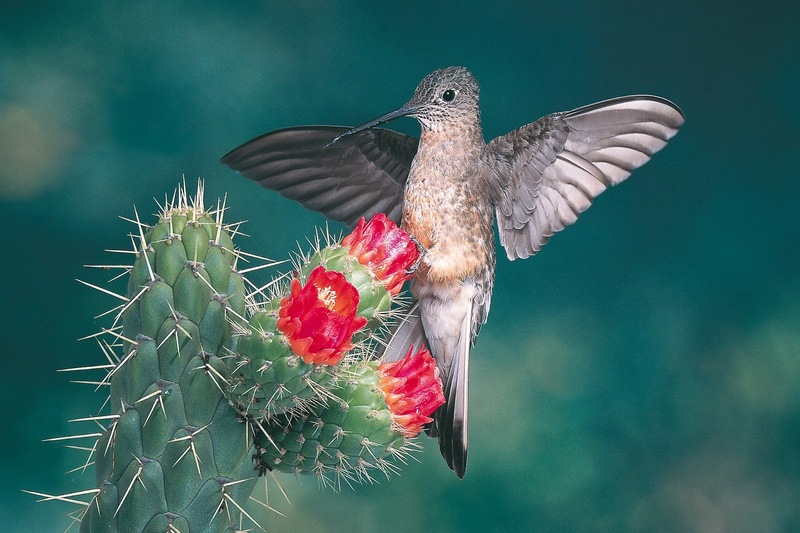 By reconstructing evolutionary relationships of the species, the researchers were able to infer that high-altitude species of hummingbirds independently evolved hemoglobins with high oxygen-binding capabilities. Most surprisingly, these parallel changes in protein function involved parallel mutational changes at the exact same amino acid sites. That repeated pattern is striking, Storz said—it suggests that the molecular basis of adaptive evolution may be more predictable than previously imagined. "In principle, the repeated changes in protein function could be produced by any number of different mutational changes," Storz said. "But the fact is, each time the high-altitude species evolved an increased hemoglobin-oxygen affinity, it was produced via parallel amino acid changes at the same two sites. "It appears that natural selection is hitting upon the exact same solution each time." To characterize the functional effects of the observed mutations, Storz and UNL colleagues Hideaki Moriyama and Chandrasekhar Natarajan used genetic engineering techniques to synthesize hummingbird hemoglobins for in vitro studies of protein function. Then they engineered different mutations into the so-called "recombinant" hemoglobins to measure their effects. In addition to synthesizing hemoglobins of modern-day species, the research team also reconstructed ancestral gene sequences to resurrect hemoglobins of the species' inferred ancestors. Storz and his colleagues are already widening their scientific net to other bird species. "We'll see if the same pattern of parallel evolution holds up over broader taxonomic scales," he said. "The evolution of hemoglobin function in high-altitude species is a really good system for exploring questions about the predictability of evolutionary change."